In the Western African land precisely on the southern coast lies the Republic of Togo. Granted independence from France in 1960, it is bordered by Burkina Faso on the north, Ghana on the west and Benin on the east, it has one of the beautiful landscapes in Africa along the Atlantic coastline. Togo has a population of 7.4 million and is set to reach nearly 7.5 in the beginning of 2017. As an expatriate, opportunities to make investments in Africa and particularly in Togo are limitless, giving a boost for businesses to grow. Africa HR solutions Ltd is the specialist on the African market as we aim to provide companies with the best payroll solutions for all employees. Whether being local or expatriate, we give the opportunity to explore and invest in this boundless market in an efficient manner, free of any administrative harassment. Does your business think about using an outside payroll provider or are you badly needing one? Outsourcing payroll means you certainly have enough resources to sustain large payroll divisions as businesses don’t necessarily need it. Either you belong to the mine, oil & gas, banking & finance, construction, forestry, engineering, IT & Telecom, NGOS sectors, we have the best payroll solutions suiting you and your company in African countries. About 99% of the entire population is native African with over 37 different tribes. The largest amongst them are Ewe, Mina, and Kabre. The rest 1% population constitutes Europeans and Syrian-Lebanese. Lomé is the capital city of Togo. Formerly known as the African “Paris”, it is one of the most charming cities and loved from visitors and expats. Craft markets, wide avenues, lively nightlife; Lomé is a striking and harmless town. The official language of Togo is French because of the long-ago French affluence. It is used for education, administration, politic and commerce purposes. Aside, there are more than 30 native languages spoken across the country. The Republic of Togo is one of the world’s top five producers of phosphates, which are used in fertilisers. In fact, agronomy is Togo’s main financial activity, who engages more than 60% of the labor force. The principal food crops are yams, cassava, corn, beans, rice, millet, and sorghum. The leading cash crops are cotton, coffee, and cocoa. Fishing is as well one important sector. 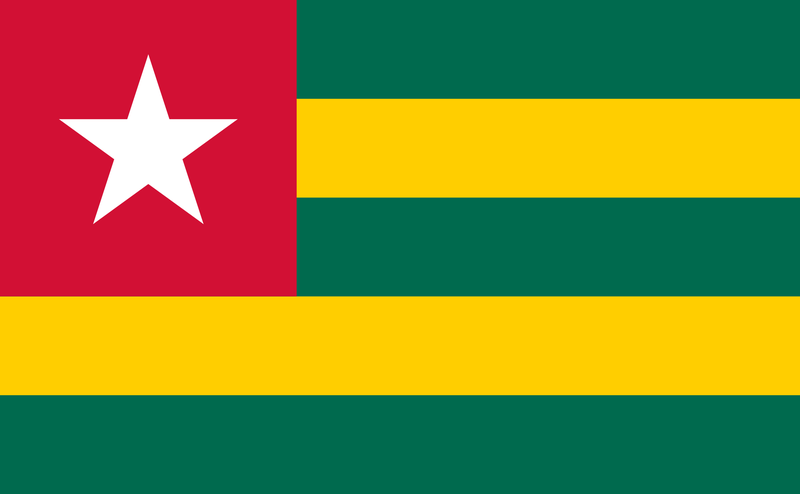 Togo is part of the West African Economic and Monetary Union. Public-sectors enterprises operating in several sectors of the economy.